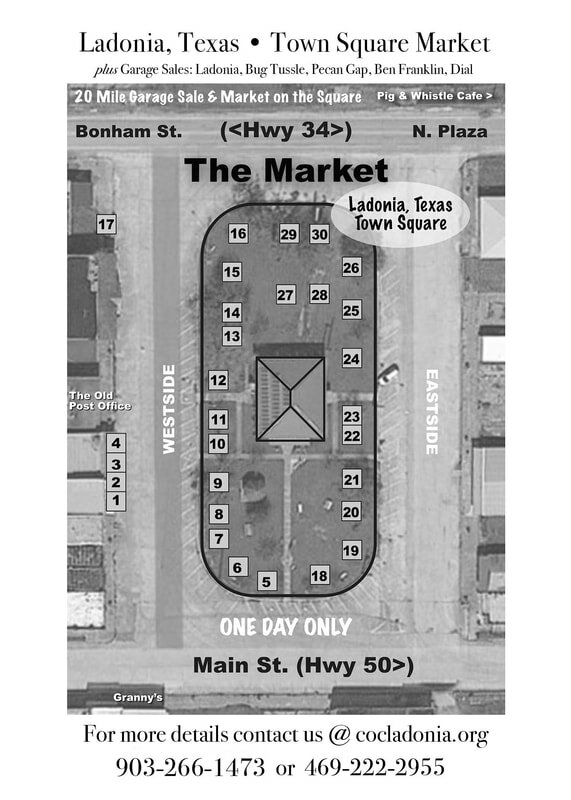 This bi-annual event is centered in the heart of Ladonia on the Square, folks living in Bug Tussle, Pecan Gap, Ben Franklin, and Dial all join in by hosting sales at homes and community spaces throughout their towns. Treasures and good food may be found along with great deals! Come explore this fascinating area, famed for the great variety of wildlife, world class fossil beds, public trails, friendly people and so much more! Vendor Sign Up Sheet for the May 4 20 Mile Garage Sale and Market on the Square! Vendor Sign Up Sheet for the October 5th 20 Mile Garage Sale and Market on the Square!